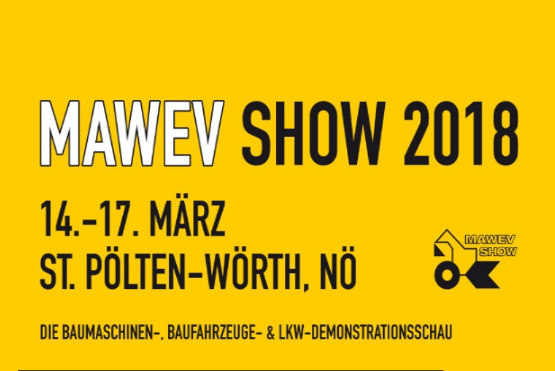 MAWEV 2018 - Kobelco Construction Machinery Europe B.V.
From 14 to 17 March 2018, the Mawev show celebrates its tenth anniversary. More than 1,000 construction machines and construction machines from national and international exhibitors will be presented at the new 200,000 m² event area in Sankt Pölten. The event will be co-hosted by Austrian Dealers Kohlschein and Wohlgenannt as well as Kobex Bohemia (Czech) and EMB (Germany). The following machines will be exhibited: SK08, SK10SR-2, SK17SR-2, SK28SR-6, SK30SR-6, SK55SR-6, SK85MSR, SK140SR, SK180, SK210, SK210 Hybrid, SK230, SK230, SK260, SK270, SK300, SK350, SK500. Below the highlights of the previous event.